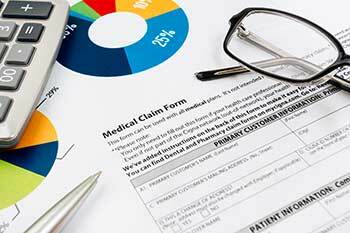 Should you give a cancer dedicated insurance policy a serious thought? It has been found that 1 in 8 men and 1 in 9 women develop some form of cancer during his or her lifetime. Most cancers are caused by the genetic changes that can happen anytime during a person’s lifetime as he or she ages. Past one decade has seen significant changes in the healthcare industry of India. This is evident from the fact that the total spend on healthcare has been around 5 percent of the GDP in 2013 and expected to maintain the similar level during 2016 as well. Every year around billion dollars are being spent alone on the research on finding the best treatment for critical diseases. However, with the arrival of state of art technology and more effective medicines to counter critical diseases, the critical care treatment has seen a steady rise in last few years. The burgeoning middle class and the lower middle class, which jointly forms a major chunk of India’s population are worst affected by this. With this steady increase in the cost of critical illness treatment in India, Indians are finally waking up to the fact that buying a health Insurance is unavoidable. Like most of them, you too might be one of those who think that you have your health risks covered when you buy a specific health insurance policy and opt for a comprehensive critical illness cover. Usually the critical illness plans claim a cover on major illnesses or medical conditions such as heart attack, stroke, kidney failure etc. But have you ever checked if it covers the deadliest of them all, cancer? Whether or not your health insurance policy will redeem your expenses at any stage if you were to be detected with a critical disease such as cancer? In all probability you might not have even given it a thought as the very mention of cancer can send a shiver down your spine. Is it overcautious then to think of an insurance policy, which is specifically dedicated to cancer even if you are perfectly healthy today? Let’s find some answers. Have you ever wondered, how you will cope if you ever contracted this dreaded disease? It has been found that 1 in 8 men and 1 in 9 women develop some form of cancer during his or her lifetime. Most cancers are caused by the genetic changes that can happen anytime during a person’s lifetime as he or she ages. Even environmental factors such as tobacco, smoke or radiation can be a cause for cancer to happen. Reports suggests that cancer is the leading cause of death in India with about 1.5 to 2 million cases at anytime, out of which 7 lakh new cases are added every year with 3 lakh deaths. Studies by reputed organizations such as WHO suggest that by 2026 with an expected increase in fife expectancy, the cancer burden will increase to about 14 lakh cases per year, which is exactly the double of the current figures. The number of new cancer cases in India is expected to increase by 70 % by 2035. Therefore instead of believing in a myth that cancer cannot happen to you, it is better to be prepared in case it does happen to you unfortunately. Even though the government has taken steps to provide cancer medication at subsidized prices, still a back of the envelope treatment cost analysis, shows that even in the early stages of cancer, i.e stage one or early second stage for head and neck, breast, lung, GI may cost anything between Rs 10-12 Lakhs. Besides the actual cost of medication, various other factors like over the counter medication, prescription medication, specified dietary supplements, nursing care needed at home, logistical cost involved while visiting the doctor, accommodation cost for self or the person accompanying if visiting a hospital outside the city, one off purchases like wigs, hair pieces, head coverings also add to the staggering cost of the treatment. What is even more alarming that around 10-30% of the treatments fail or a relapse occurs in the first stages of cancer, which almost doubles the treatment expenditure in some cases. Unlike other diseases, early stage cancer patients might not require hospitalization and are treated more on an outpatient basis. That means that they have to regularly visit the oncologist while the treatment is on and follow the post treatment cycle of heavy medications, which definitely disturbs the routine professional life of a person. Study suggests that most cancer patients face financial stress, sometimes hardship, by having to deal with massive extra costs, as well as a huge drop in income for many patients at a time when they are going through the severe physical, emotional and psychological impact of a very serious illness. A strong mechanism is therefore needed to take care of your financial well being while you undergo the cancer treatment and even after that. There are chances that you have opted for a health insurance policy to ensure your financial protection, but have you have ever thought if it enough incase of a critical disease such as cancer ? Some of you who are prudent enough might have even opted for a critical illness cover in a health insurance policy. But how many of you are aware about the definition of ‘critical’ stated in such policies. Such policies might give you temporary relief but are applicable only in the advance stages of critical diseases such as cancer. Therefore it becomes necessary to go for cancer dedicated policies which are specially designed to suit the unforeseen financial needs that the dreaded disease might bring along. Cancer dedicated policies that are offered by a handful of insurers today offer 25% of the sum assured to the policyholder on the diagnosis of the disease that takes care of the expenses at the initial stages. The amount is credited to the insured person’s account immediately and all his future policy premiums are waived off till the end of the policy term. Under unfortunate circumstances where cancer is detected in more than one organ, 20% of the sum assured is given for the treatment of each organ. In the advance stages a policy holder can claim up to 100% of the sum assured and even get an additional 10% of the sum assured for a period of 5 years as income. A cancer dedicated policy will provide a sum assured of Rs 20-25 lakhs for a 30 year old for mere sum of Rs 4,500 - 6,000 per year (on an average) for a term of 35 - 40 years, which is even lesser than the cost of a weekend road trip with your loved ones. So if you are still thinking whether or not to opt for a cancer dedicated product, the answer is yes! In case cancer does happen to you unfortunately, your timely financial management can ensure that while you focus only on fighting and winning the battle against the dreaded disease, your worries of being straddled with high costs of treatment are automatically taken care off. The author, Aalok Bhan is Director and Chief Distribution Officer, Max Life Insurance.